Polymer rheology is an enormously sensitive indicator of polymer long-chain branching, and consequently can be exploited as a tool to evaluate polymer structures. Carbonaceous fillers are most abundantly used filler due to its reinforcing nature and its low cost. Among the carbon filler family, the most widely uttered names are carbon black and carbon nanotubes (CNTs) because of their relatively low cost, ease of processing, surprising dispersibility and mechanical strength. 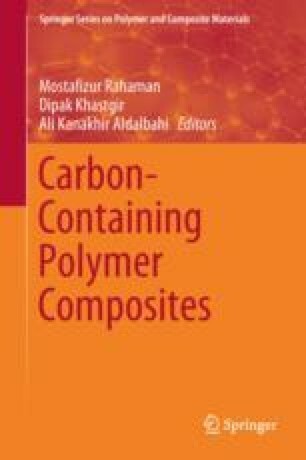 Several researchers did work on the polymer solution or polymer melt-based composite processing methods in order to distribute the fillers at a greater extent. It has been noticed by the various researchers that carbon black is easier to distribute than CNTs due to low aspect ratio of CNTs. Several rheological models have been discussed for filler-polymer composite systems. The relation among the rheological parameters is discussed also in light of yield stress value, shear rates and steady-state shear character of composites. We also discussed how the polymer/filler ratio affects the rheological nature of nanocomposites. Basically, dilute domains (rheology dominated by polymer concentration) and semi-dilute domains (dominated by the filler particles, filler fractals/cluster, filler agglomerates, etc.) have been analysed by various hypothesizes as told by researchers. However, we tried to contextualize the rheological resultant effects of carbonaceous filler impregnated polymer composites through the underlying structure-dispersion relationship and cultivate the interplay of different filler-polymer forces in the nanocomposites.